British Airways was one of the first airlines to offer a flat bed in Business Class. Yet 10+ years later, nothing has changed… until now! One of the major complaints surrounding the current Club World set-up is the lack of direct aisle access. The new Club Suite will solve this with a 1-2-1 layout. British Airways is advertising Club Suite as a 79 inch long bed when fully reclined, seven inches longer than the current seat. 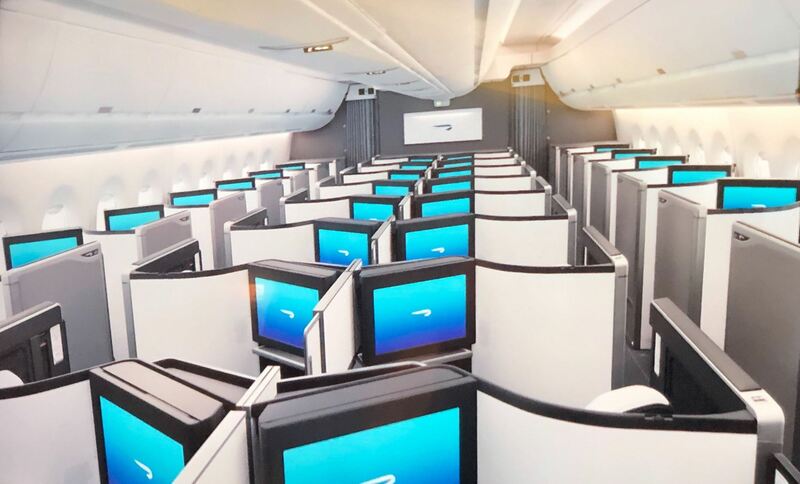 BA is also promising gate-to-gate in-flight entertainment, which essentially means that the screens are fixed. The screen size will vary depending on the aircraft type. This “herringbone” style angle is the secret for squeezing in as many seats as possible, whilst still allowing passengers substantial space and legroom. Of course, not everybody is a fan of your legs disappearing into a cubbyhole. The middle seats will also feature a privacy screen. So if you enjoy enclosing yourself into a coffin for the duration of your flight, this new seat will work for you! When Can I Expect to See the New Seats on a Plane? 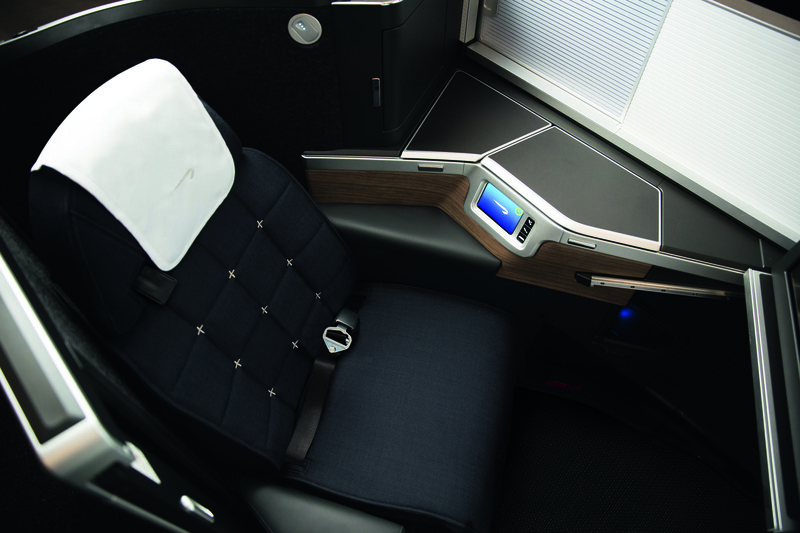 The Club Suite will be installed on British Airways’ Airbus A350-1000 aircraft. BA expects to take delivery of its first A350 this summer. In total, there will be 56 Club Suite seats. The A350 is expected to fly short-haul between London and Madrid to allow for crew familiarisation. The first long-haul routes to receive the A350 will be Toronto and Dubai, likely to occur in the early autumn. However, since BA will only have one or two A350s to start with, not every Toronto or Dubai flight will get the new product for awhile. 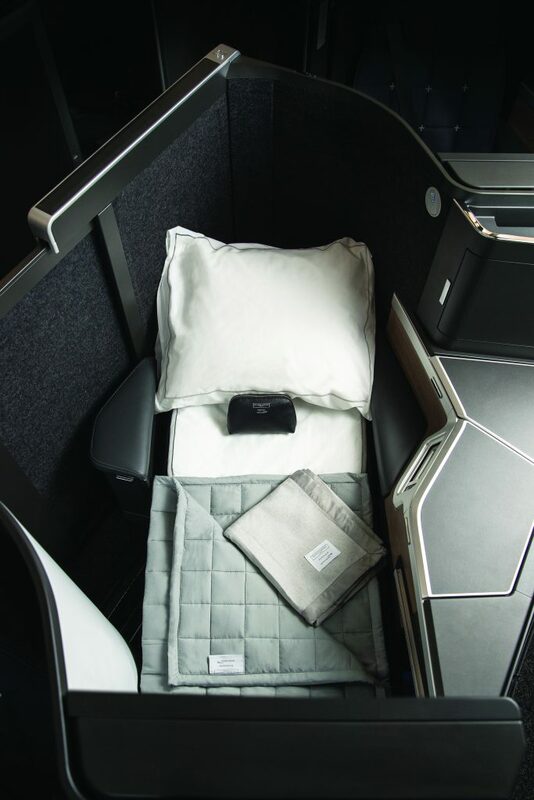 BA is also planning to retrofit two Boeing 777s this year with the new Club Suite product. Beginning in 2020, BA will continue to retrofit their other long-haul aircraft. BA’s Boeing 747s will never undergo the retrofit process, as they are supposed to be retired from the fleet by 2022. 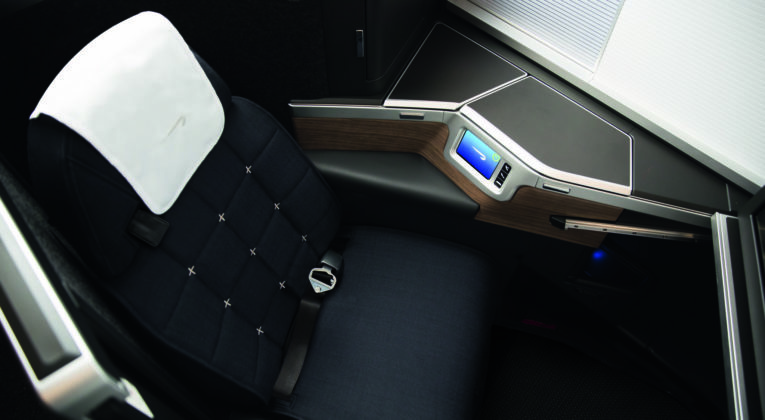 However, every newly-ordered aircraft will also feature the new Club Suite product. Are they revamping the F class seat also? If not, to me this new CW seat does not look a lot different to the current best F seat on the 787-9. This is sorely needed and will make CW considerably better than it is now. Pity about the retrofit taking so long but that’s life, I guess. The A350 is the best plane in the sky, IMO. Looks like it will be worth holding on to those Avios, after all!